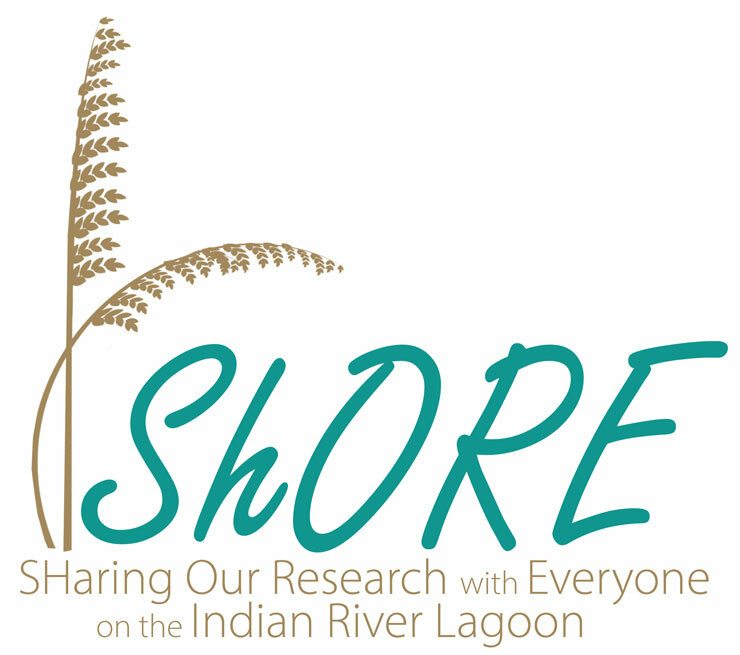 NEW SMYRNA BEACH, Fla., Nov. 15, 2018 – The fourth annual Sh.O.R.E. Symposium will once again give the public an opportunity to learn more about current issues and research relating to the Indian River Lagoon. Co-presented by the Marine Discovery Center, the Atlantic Center for the Arts and Daytona State College, Sh.O.R.E. — Sharing Our Research with Everyone – will be held Friday, Nov. 30. Sh.O.R.E. will return to the Brannon Civic Center, located at 105 South Riverside Drive in New Smyrna Beach. Registration will begin at 9:30 a.m., with the event starting at 10 a.m. This year’s keynote speaker will be Dr. Marcus Eriksen, an environmental scientist, educator and author focused on building stronger communities through art, science, adventure and activism. Founder of the 5-Gyres Institute, Eriksen is involved in research about the global distribution and ecological impacts of plastic marine pollution. His studies have included sailing expeditions through all five subtropical gyres and his book, “Junk Raft” details an oceanic voyage and discusses how oceanic plastic pollution impacts humans and the planet. The annual symposium is designed to provide useful information for all citizens, Truxall added. 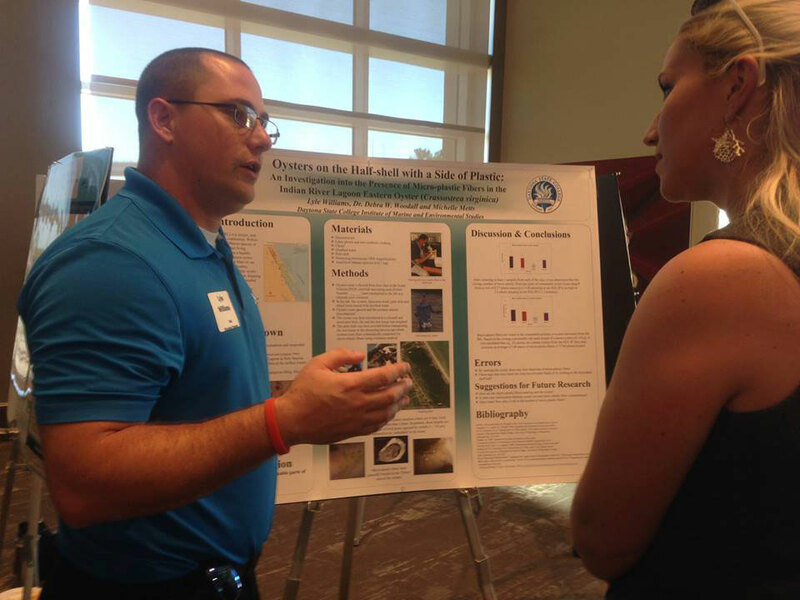 High school students and college undergraduates will join science professionals in presenting information to the public about their recent research, current scientific findings and management strategies for the Indian River Lagoon. Students will also display scientific posters in the Brannon Center during lunch, which will be provided at no charge to all pre-registered attendees. Members of the professional science community will select top oral and poster presentations for cash prizes to the participating students, which will conclude the symposium around 4:30 p.m.
“The students who will be presenting at Sh.O.R.E. could become our future scientists,” said Dr. Debra Woodall, professor at Daytona State College’s Institute of Marine and Environmental Studies, and an organizer of Sh.O.R.E. New this year will be an interactive art exhibit entitled “How Plastic Are We?” The Atlantic Center for the Arts (ACA) will host the student-created exhibit, which is inspired by this year’s ocean-plastics theme and is a commentary on the presence of plastics in waterways and natural habitats. The exhibit will be held at the ACA Harris House, located near the Brannon Center at 214 South Riverside Drive in New Smyrna Beach, and will be on display from 4-7 p.m., Nov. 30-Dec. 1. Following the symposium, ACA will partner with Sh.O.R.E. to offer an author’s book signing across the street from the Brannon Center at the Harris House. 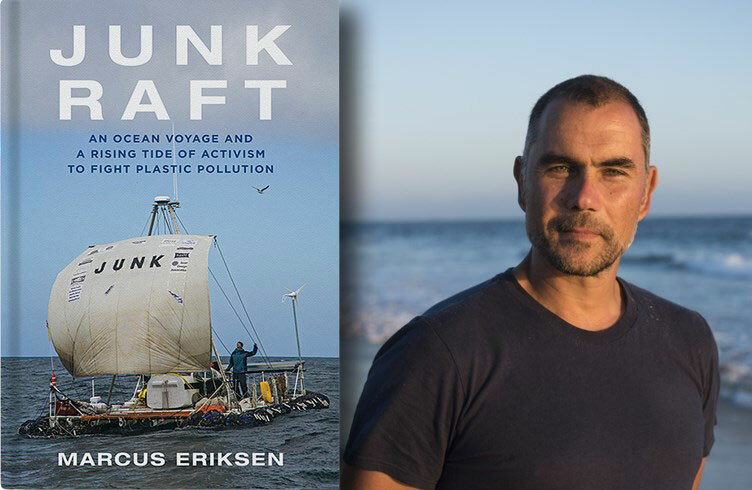 Keynote speaker Dr. Eriksen will sign copies of his book “Junk Raft” at Harris House immediately following the student presentation awards and Sh.O.R.E. conclusion. Books may be purchased for $10 (cash only) and signed on site by the author. Books must be reserved in advance by contacting Dr. Woodall at SHORE@daytonastate.edu. Books may only be purchased at the event. River Park Terrace restaurant, located adjacent to Harris House, will host a casual reception, as well as adult beverages for purchase during the author book signing and art exhibit. Sh.O.R.E. is free to the public, but online preregistration is required by Thursday, Nov. 29, by visiting www.DaytonaState.edu/ShORE. Final registration will also be held at the door on the day of the event, starting at 9:30 a.m. Seating at the Brannon Center is limited. You can view and download the full agenda here. Can’t attend Sh.O.R.E. but still want to get involved? Dr. Eriksen will be in town recording data on trash gathered from the beach and to assist we will be hosting a large beach clean up in Port Orange on Wednesday, November 28 from 3:30 – 5:00 p.m. We will be using the Litterati app to collect information on trash picked up from our beaches, so be sure to bring your smart phone! Download the flyer or visit the Facebook Event Page for more information. Contacts: Dr. Debra Woodall at 386-506-3765 or at SHORE@daytonastate.edu. For all other media questions, contact lisa@marinediscoverycenter.org.